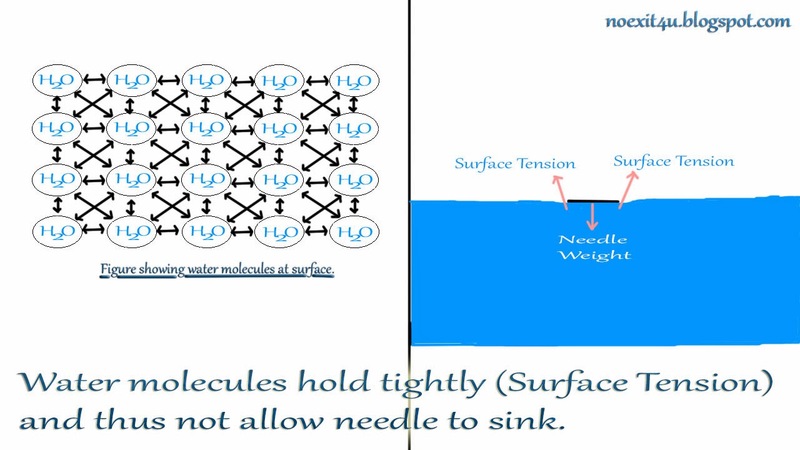 Needle floats over the surface of water due to surface tension of water. 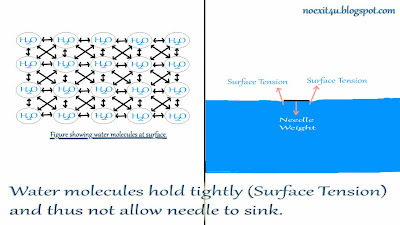 From the image below you can get an idea about Why needle floats over water surface. Watch the video given below to get more practical knowledge about surface tension and to learn the trick to float the needle over the surface of water.